It is important in any project to communicate the circulation within and throughout a space with the manipulation of the ceiling plane to create spaces as well as with the flooring material choices to communicate space as well as transitions between spaces. 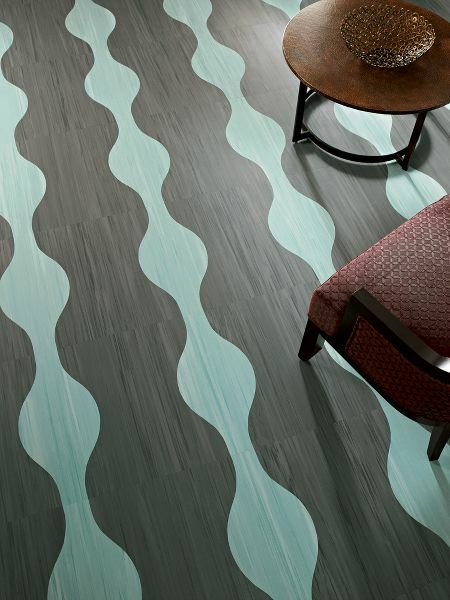 Armstrong striations 24 x 12 tiles will be used in the main corridor and in the waiting area as well. The color shown is what will be used. 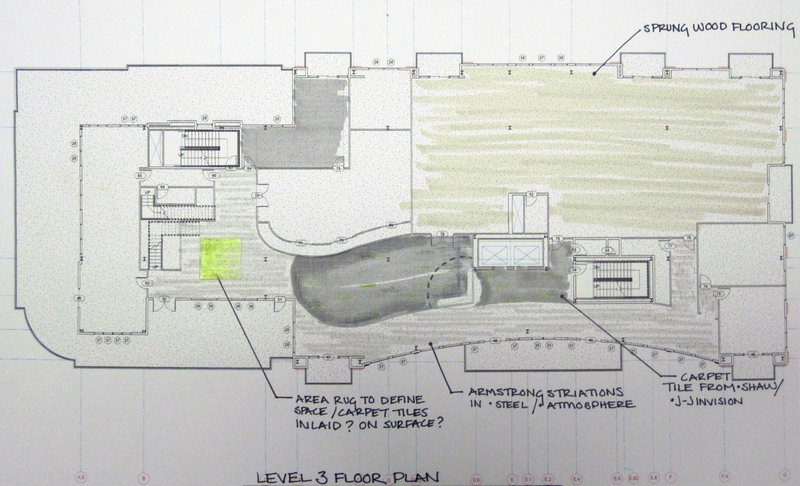 The ceiling plane in the main corridor will be articulated by using suspended beams to bring the ceiling plane down to human scale. They will be spaced not so perfect as drawn in the sketch. As the corridor gets skinnier the beams will be placed closer together and as the corridor widens they will be spread further apart. 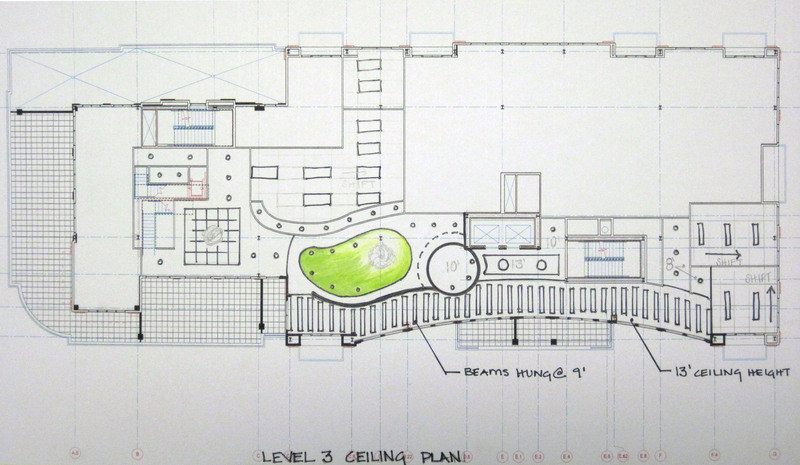 The ceiling in the lobby of the large performance studio will be recessed in a curvilinear shape and will be painted Chartreuse to bring interest to the ceiling. A suspended light pendant will be placed here . The ceiling in the waiting area will be suspended 2×2 tiles with another pendant suspended from the center. Every light pendant specified for this project is made of thin, lightweight, sheets of wood veneer and will be specified in white. The pendants communicate the concept of movement. 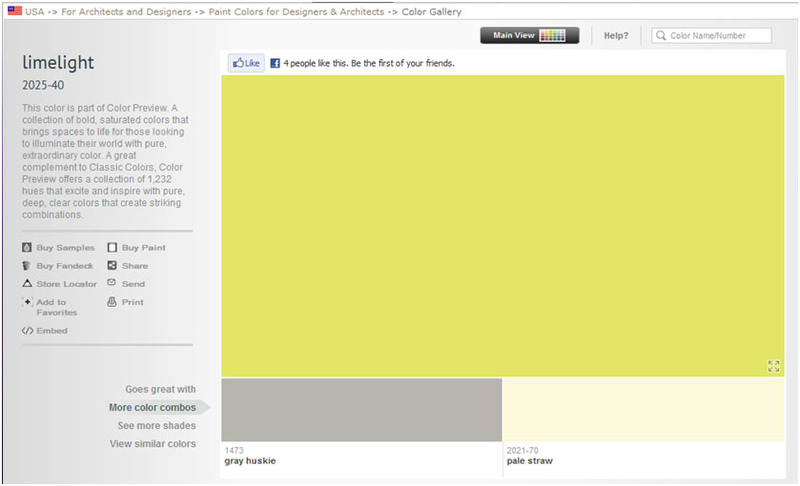 Color scheme I’ve chosen from Benjamin Moore Paints. You are working hard. I appreciate seeing images and sketches depicting your interpretations. Application of textures and color to surfaces is anticipated.